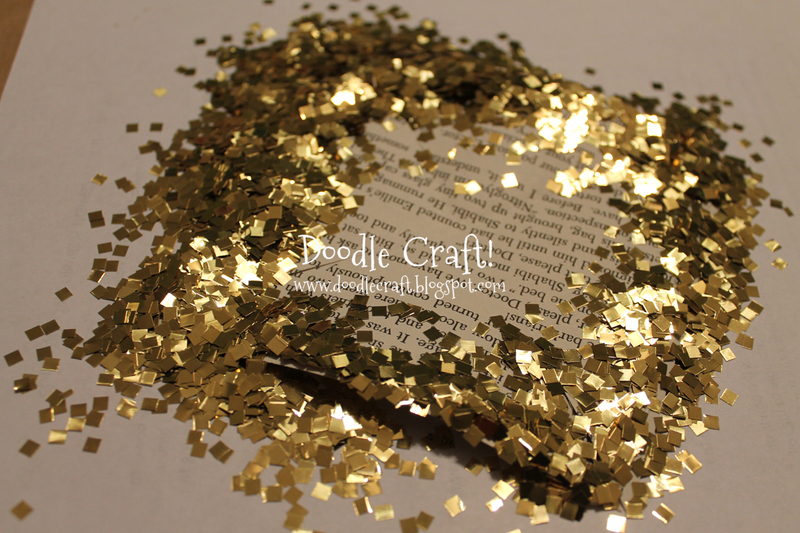 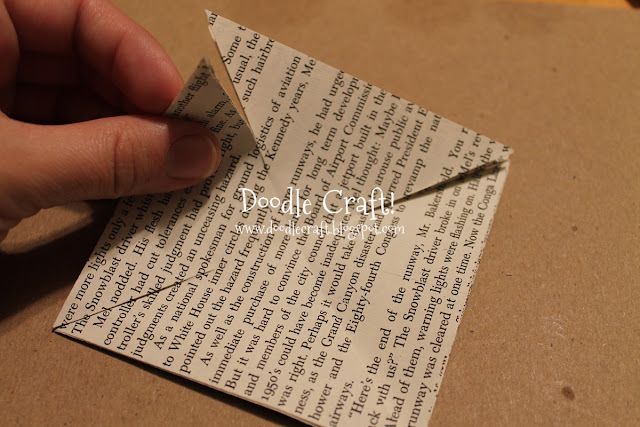 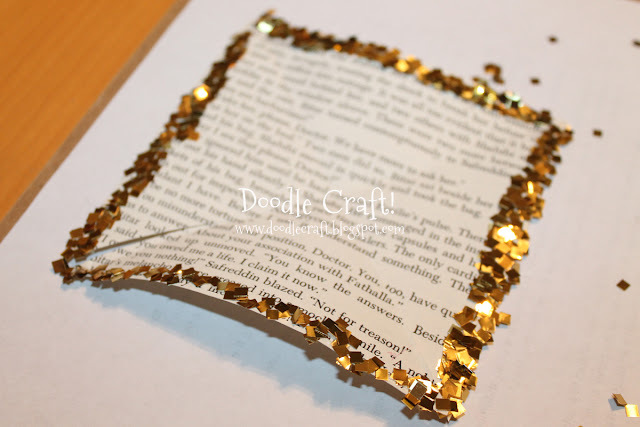 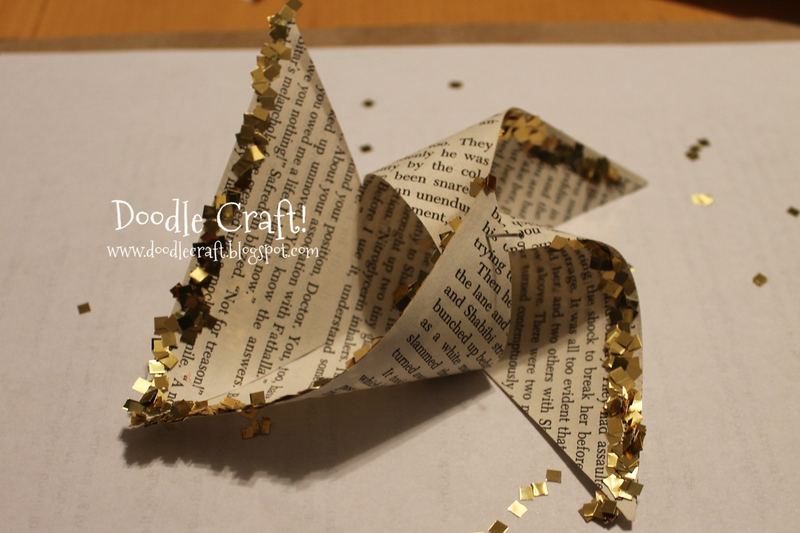 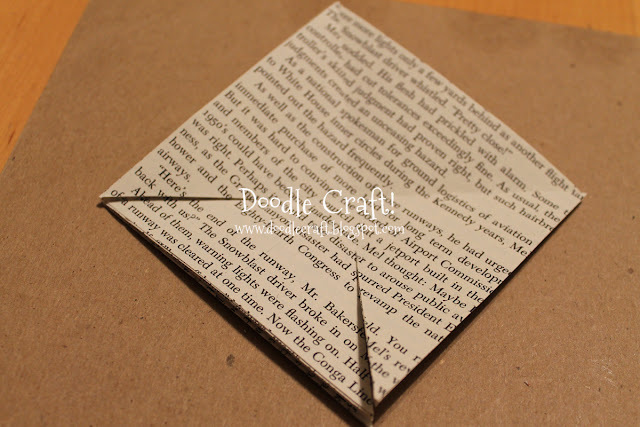 Doodlecraft: Upcycled Book Page Glitter Pinwheels! 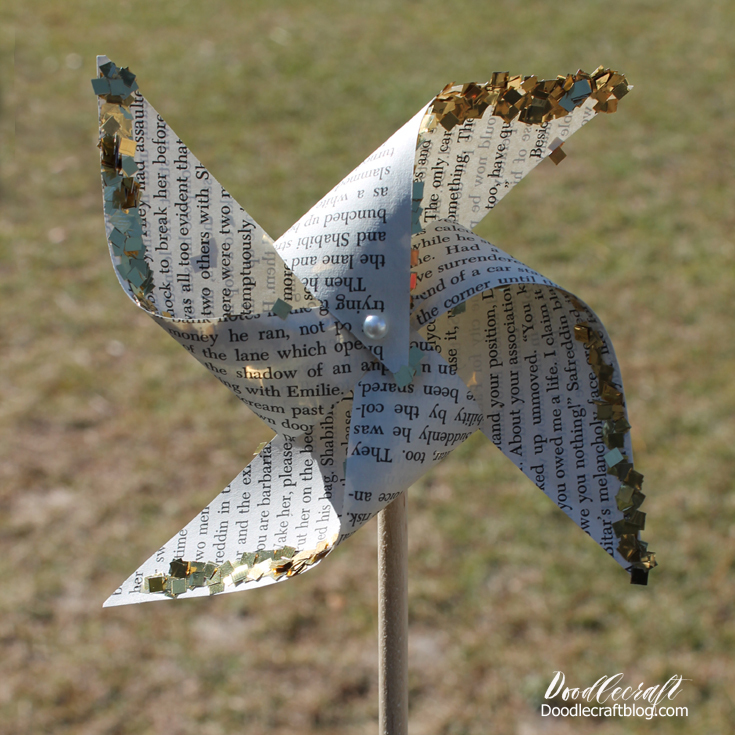 Upcycled Book Page Glitter Pinwheels! 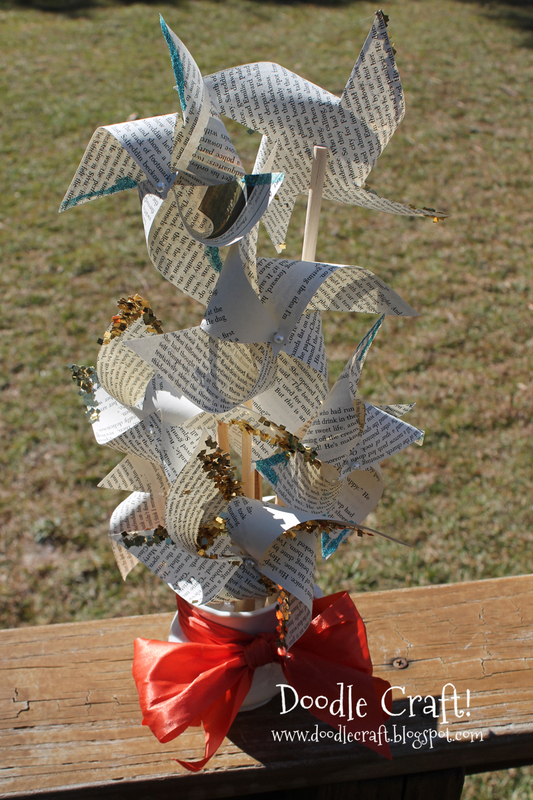 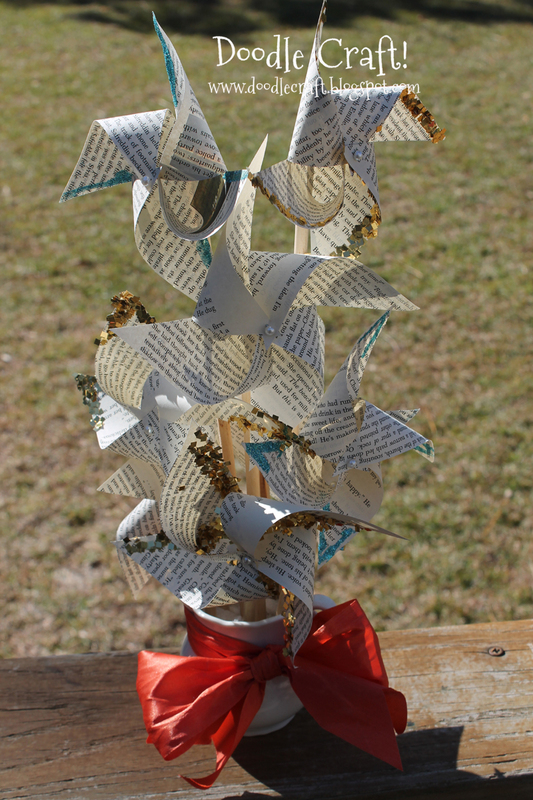 Book pages are so darling and these pinwheels are full of summertime! 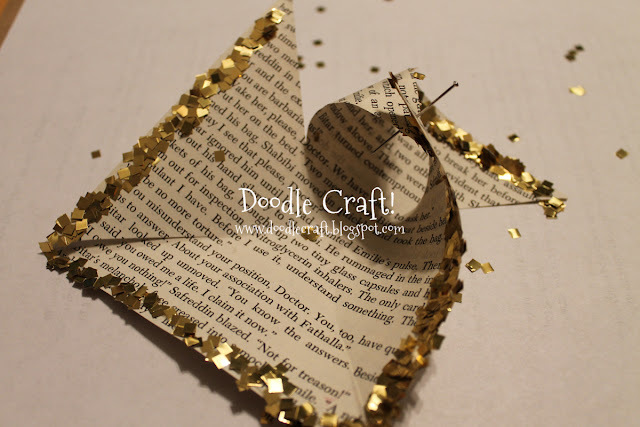 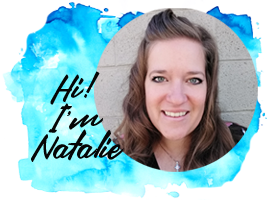 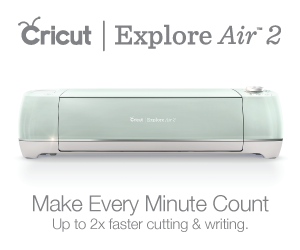 These are fun and whimsical...and really work! 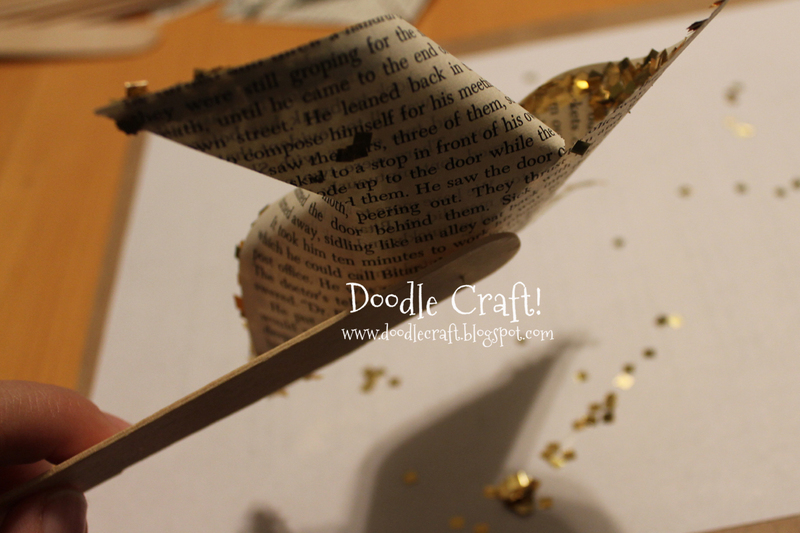 Unlike these ones from yesterday! 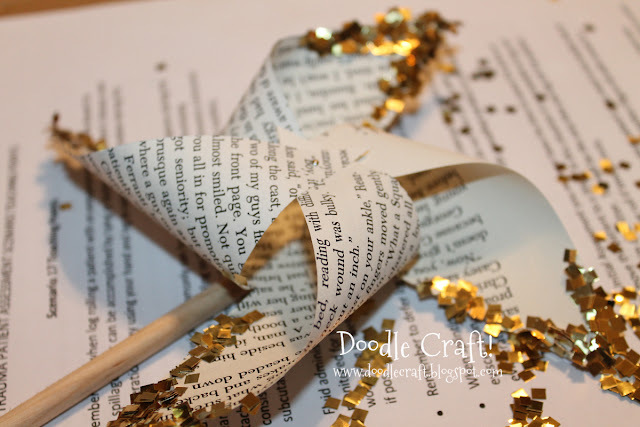 They would be darling paired with book page rosettes! 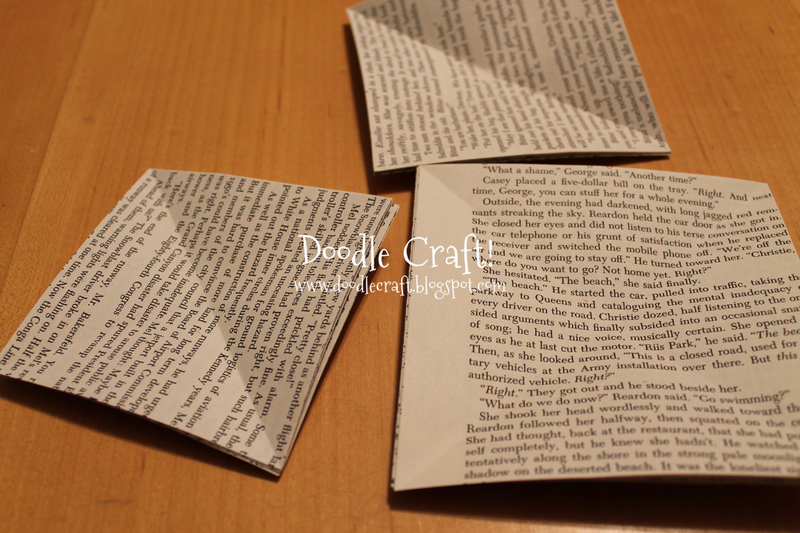 Cut your pages into squares. Then fold them diagonally both ways. Use a straight pin and poke through the flap of the pinwheel. 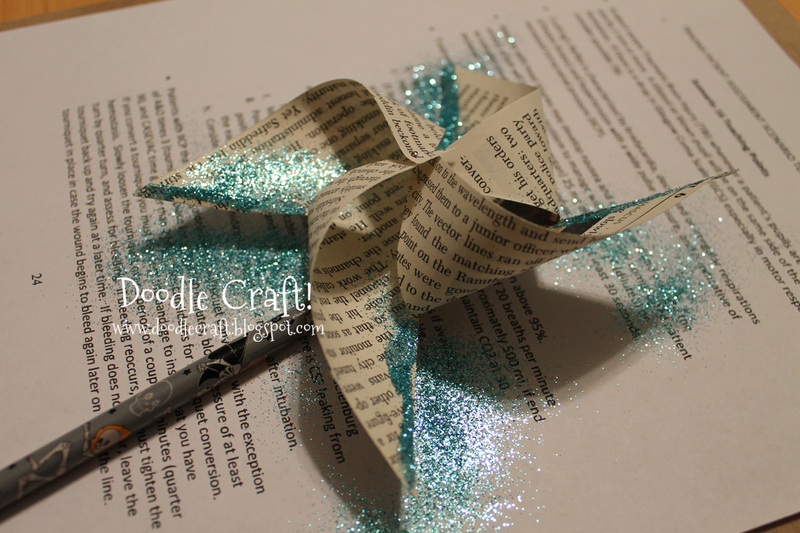 Pencils work great. 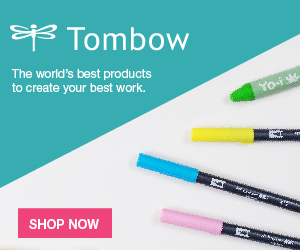 Poke the pin right into the pencil eraser! 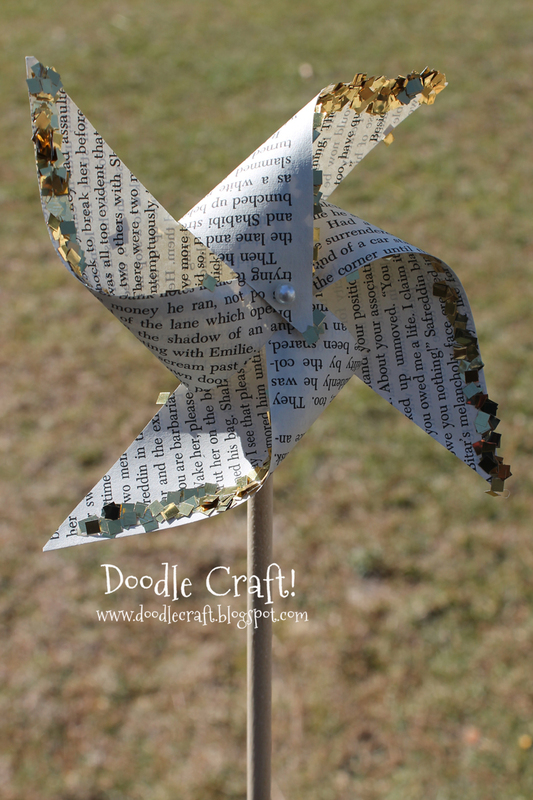 pinwheel pin and hammered it in just slightly more. 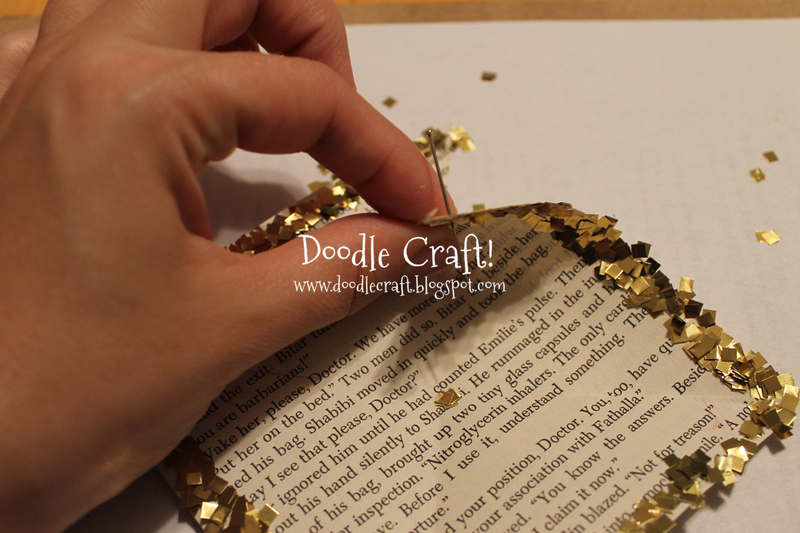 Added a pearl embellishment over the pin head. And blow! Perfect and spinny! 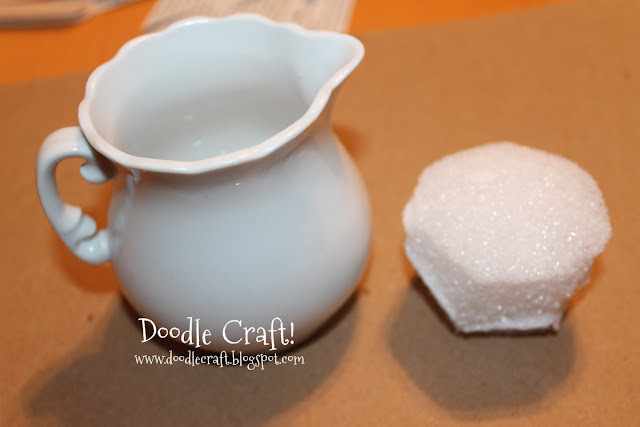 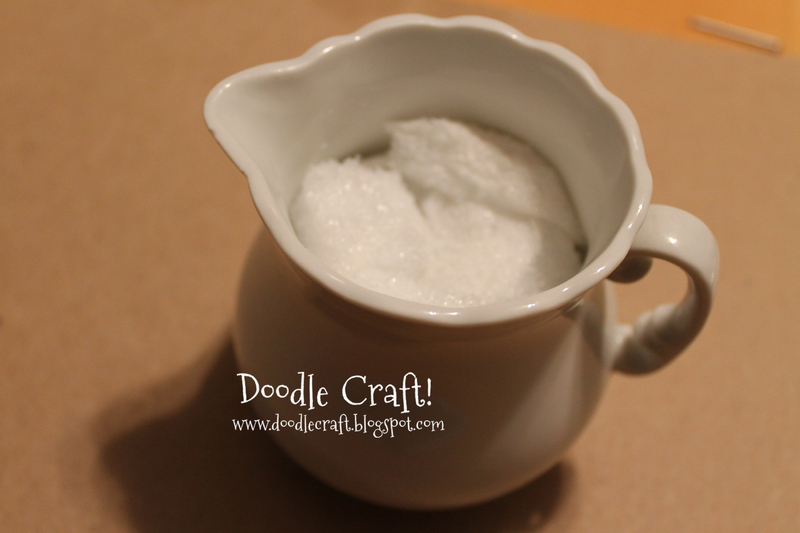 I grabbed a cream pitcher...and a styrofoam ball. I cut the ball so it would fit inside. 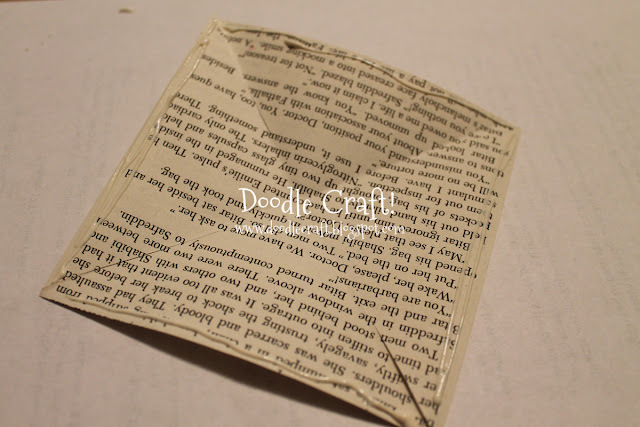 then filled the inside with stryrofoam...using the scraps to pack it tight. 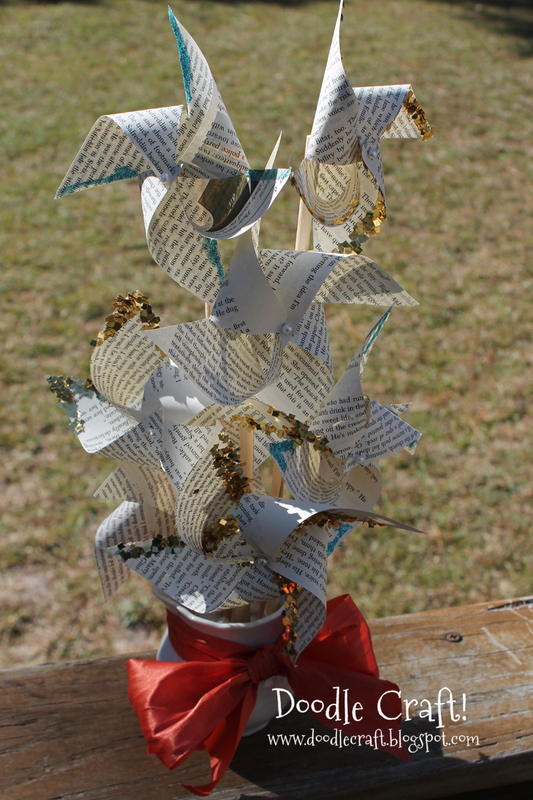 And arranged the pinwheels like a bouquet centerpiece!